Strong storms and gusting winds can devastate homes and buildings, ripping away roofs and shattering windows. While there's no set wind speed that will break windows, you can figure out how much pressure your windows can withstand by examining the technical performance data associated with your specific window model. Extreme wind in coastal areas can easily break windows. 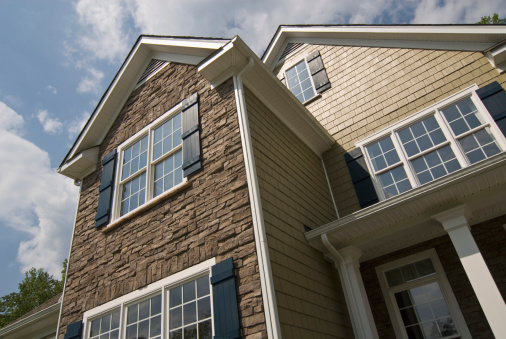 To figure out how much wind your windows can be expected to withstand before they shatter, look for the design pressure rating for your windows. This information can be found on window packaging, manufacturer product data sheets or by contacting the manufacturer. A basic residential window may have a design pressure of 15 pounds per square feet. That means, under most conditions, the window can be expected to withstand up to 15 pounds of pressure for every square foot of its surface before it breaks. Once you know the design pressure, use the Ensweiler formula to convert design pressure to miles per hour. First, take the square root of the rated design pressure, then multiply it by 20.016. For example, a window with a design pressure of 30 has a square root of about 5.48 and is designed to withstand winds of up to 110 miles per hour (5.48 times 20.016). While these ratings generally hold true, exceptions apply. In some applications, the effect of the Earth's terrain or the shape or design of a building could cause windows to break at a lower wind speed. Individual municipalities set design pressure requirements for windows based on maximum wind speeds in the local area. 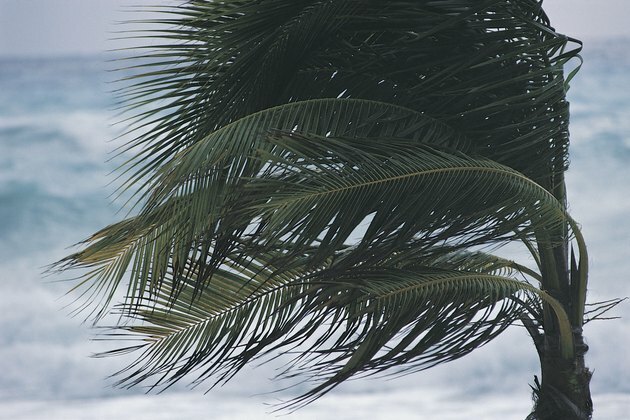 Areas subject to high winds or frequent hurricanes, such as south Florida, typically have high design pressure requirements. For example, windows in Miami may be subject to design pressure ratings of 50 to 70 psf, allowing them to withstand wind speeds of 140 to more than 160 miles per hour. Taping windows does nothing to stop them from breaking when wind speeds soar, according to CBS News. Taping may actually increase danger by holding broken pieces together, resulting in larger shards of glass flying through the air. Another popular windy-day-window myth states that opening the window a crack helps to equalize pressure. According to the National Hurricane Survival Initiative, this is false and will do nothing to prevent broken windows or protect your property. In fact, a well-sealed home is your best protection against damage from wind and water. Even the highest design pressure does nothing to prevent glass from breaking due to impact as objects fly around in high winds. To prevent breakage from impacts, look for impact-resistant glass, which is specially designed to hold up to impacts from flying debris. Impact-resistant glass can withstand the impact of a missile traveling at 34 miles per hour, according to CNN. If your windows are not impact-resistant, cover them with plywood or storm shutters to reduce the risk of breakage during high winds. Should You Crack Your House Windows for a Hurricane?